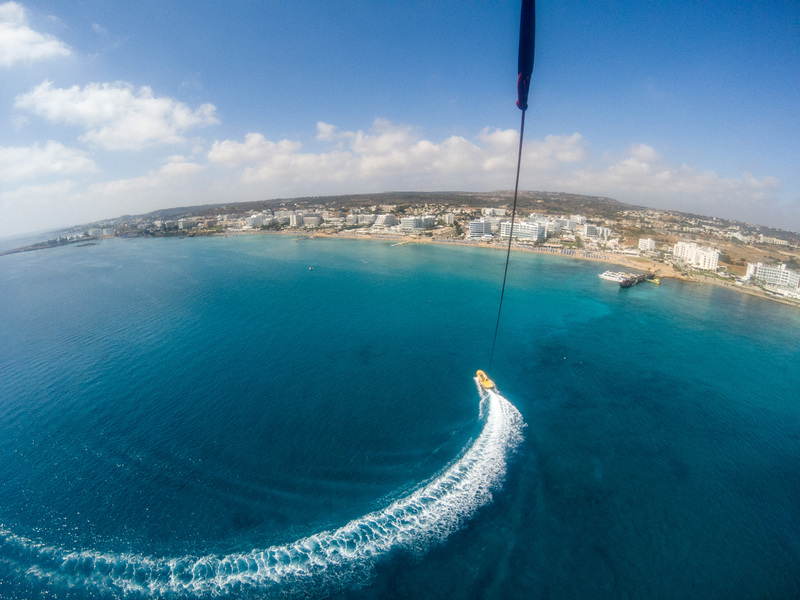 I knew that the one thing I definitely wanted to to when I travelled to Cyprus was parasailing. I’m just a sucker for a good view from high up, and this seemed like a great start. 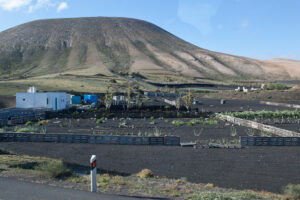 I’d already visited the Chapel of Prophet Elias – but I wanted to get higher. The strip where we were in Protaras had a few different companies offering this experience, but really there wasn’t much on the deciding factor as they all had the same price. Some companies had a wider range of things to do besides the parasailing though. I paid €40 and that gave me 15 minutes in the air. It doesn’t seem like a huge amount of time, but honestly it felt plenty. I mean, I could have stayed up there for longer, but I didn’t feel cut short. 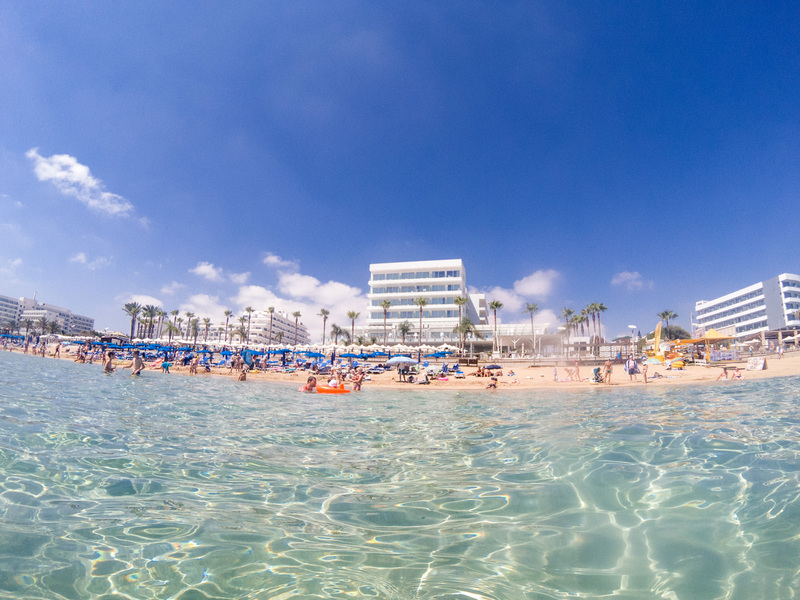 I’d enquired about pricing the night before, and whilst there was told that the morning time is generally the best time to parasail as it isn’t quite as windy. Which may seem backwards – but you don’t want it to be super windy out there. We headed out on the boat and one of the guys got me ready with the harness before telling me to sit down where the parasail was. They let me up into the air slowly, which I guess is reassuring for those a little worried whilst also being safer. Or I’d assume at least! As I lifted higher and higher into the sky, it became strangely silent. The noise of the boat and the noise of the water disappeared. 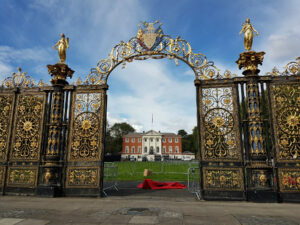 The wind was rushing around me, but I felt like I was smoothly gliding through the air. It was so calming and serene up in the sky. I just didn’t expect it to feel quite so relaxing. The views. Oh the view from above, and from out at sea, was incredible. I mean that first shot just shows it right? They let you up to 300 metres above the water. I’m not afraid of heights, but I did get a bit of a sicky feeling up there. I think it was motion sickness honestly. 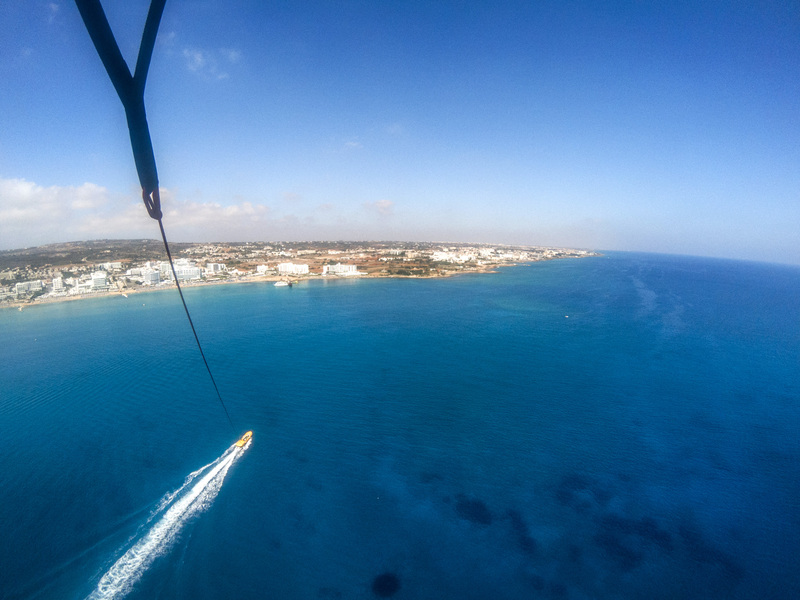 Not bad enough to ruin the experience, not at all, but I think if you are afraid of heights and want to test yourself then a parasailing experience will definitely do that. And I’d say to try out a tandem one if this is the case so you’re not alone. If you like heights, then I would 100% recommend doing this at least once. I felt like I could see for miles and miles in front of me. 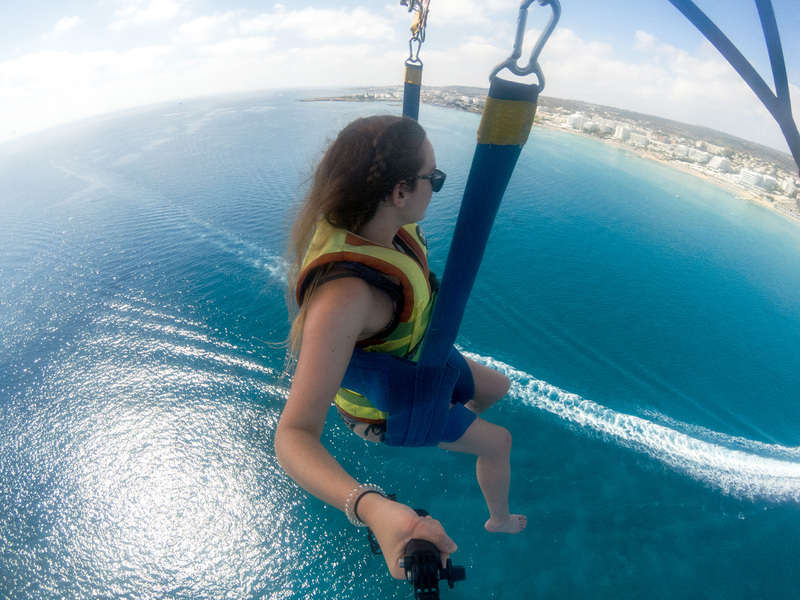 So yeah, parasailing in Cyprus – a winner for me! Once that was done, we spent a couple of hours on the gorgeous beach. Every so often you’d hear gasps or ‘ouch, ouch, ouch’ as people ran across that hot sand. Sand in 35 degree heat is no joke! It was bloody boiling. The sea though, it was well worth that scalding run. 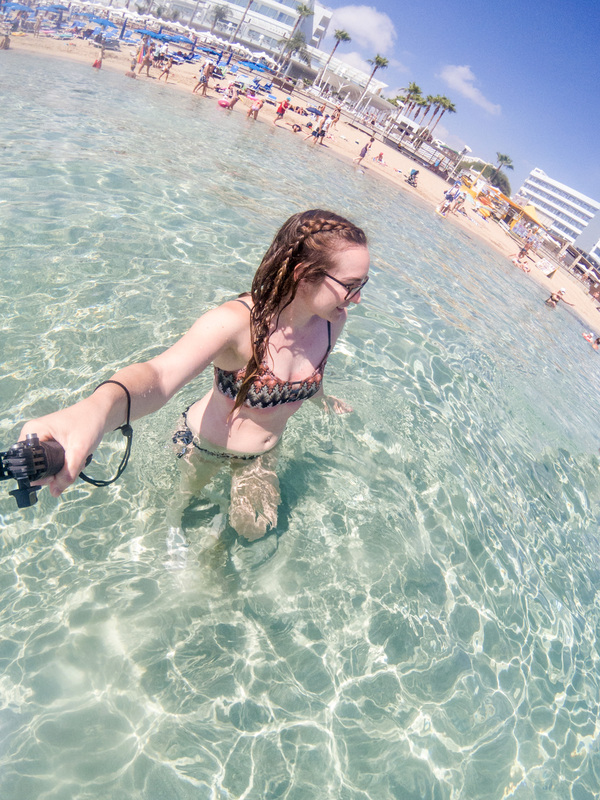 The water was SO clear, and although the cold was a big of a shock at first, once you were in it was like heaven. So relaxing. I could have stayed there all day. 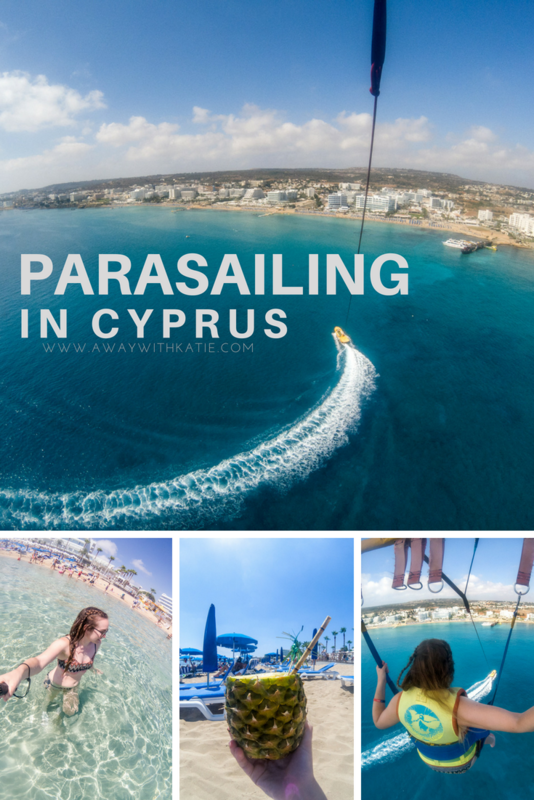 Parasailing – have you done it? Would you do it?